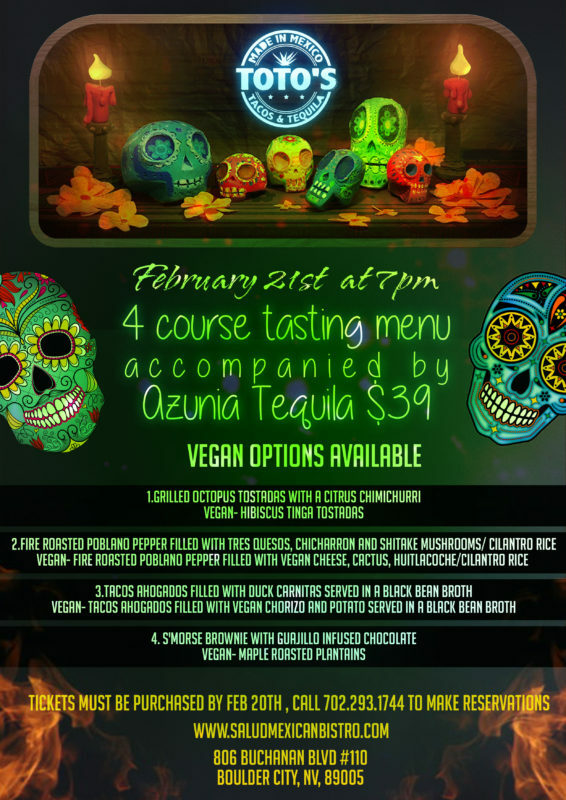 Toto’s Mexican Restaurant here in Boulder City has a very special dinner planned on February 21st! They’ve got a special ‘Tasting and Tequila’ menu that looks to be an awesome authentic dining experience! Reservations and tickets are required in advance. Purchase by February 20th by calling 702-293-1744.